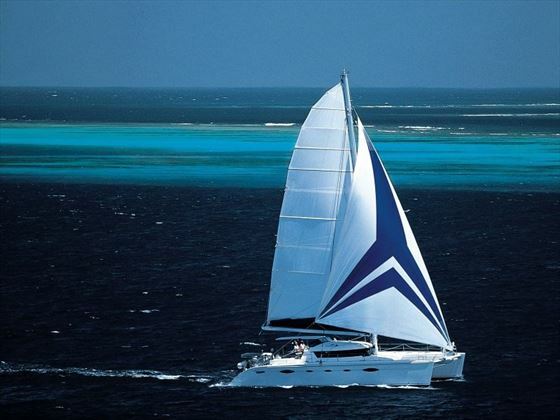 Discover the Seychelles’ unspoiled beauty on this fantastic catamaran cruise on board the Eleuthera 60. Starting and ending in Mahe, this charming cruise will take you through the striking landscapes of St Anne Marine Park, Coco Island, La Digue, Cousin, Praslin, Grand Soeur, Saint Pierre, Silhouette and Beauvallon for an unforgettable trip. Begin your journey with a two night stay at AVANI Seychelles Barbarons Resort & Spa, a gorgeous beachfront resort, before jumping on the Eleuthera 60 catamaran and sailing amongst some of the Seychelles’ most remarkable islets, with walking tours, snorkelling excursions, wildlife spotting, sun bathing and even beach BBQ’s along the way. After 10 nights of discovering the island’s natural splendour, you’ll disembark at Mahe for another fabulous two night stay at AVANI Seychelles. 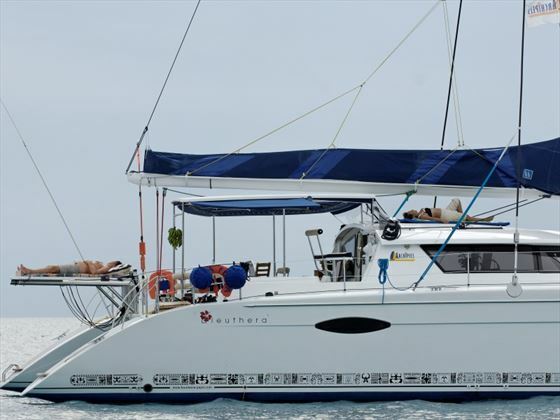 The Eleuthera 60 is a brilliant catamaran, offering five double cabins, large sundecks for enjoying the sunshine, an excellent crew, and snorkelling equipment and sea kayaks for enjoying water sports in the Seychelles’ astonishing waters. There are three departures each month for this cruise. 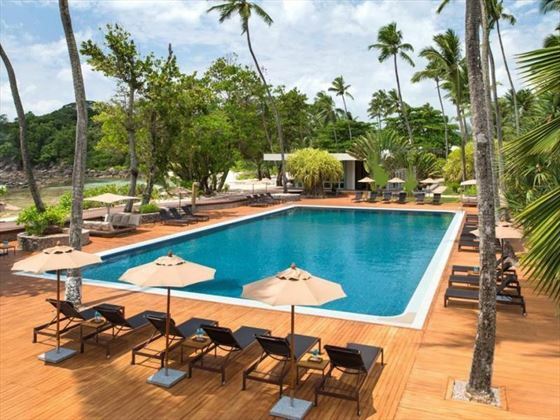 On arrival in Mahe you’ll travel to AVANI Seychelles Barbarons Resort & Spa, your home for the next two nights. This fabulous hotel embodies the true island lifestyle, offering stretches of white sand beach, sparkling waters, and luscious forest. You could add a bit of fun to your first two nights with water sports, yoga and even cooking classes, or truly relax by sunbathing and spoiling yourself with rejuvenating spa treatments. 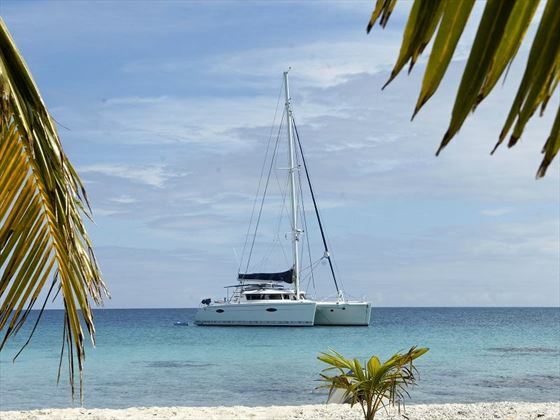 Today you will depart from Mahe on the Eleuthera 60, a lovely catamaran offering five air-conditioned double cabins, snorkelling and sea kayaking equipment, and a large deck for soaking up the sun. 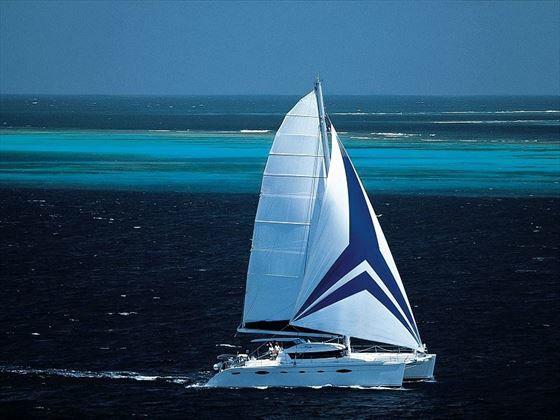 Today you’ll cross to Saint Anne Marine Reserve and anchor for the night. Today you’ll visit the Marine Reserve of St. Anne, featuring a beautiful seabed perfect for scuba diving and snorkelling. Afterwards you’ll depart for Coco Island for another round of snorkelling, plunging into this natural aquarium to swim next to tropical fish and colourful coral reefs. Anchor in La Digue harbour. In the morning you’ll rent a bike to explore the island of La Digue, following trails that wind past picturesque houses with palm roofs and small copra factories, before enjoying the white sandy beaches and looking out for the rare black paradise flycatcher. No cars are allowed here, giving the island a tranquil ambience. You’ll anchor in La Digue Harbour again. Start your day with a visit to Cousin, a stunning nature reserve since 1968, and home to hundreds of birds and giant tortoises. 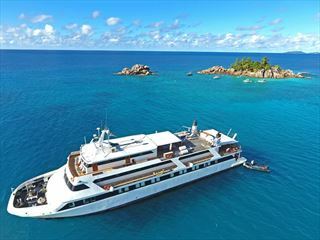 You’ll be able to explore the native woodlands in search of the island’s indigenous islands, before tucking into lunch on board and sailing to Praslin. Here you’ll be able to visit Vallée de Mai, a UNESCO World Heritage Site featuring well-preserved palm forest, and try to spot the rare Seychelles black parrot. Anchor in the bay of Saint Anne. Tuck in to a delicious BBQ on Grand Soeur’s exceptional beach, before wandering along the island’s romantic trails. Afterwards, you can choose to either enjoy fun water sports, or take in the beach’s natural beauty whilst sunbathing in the sun. Anchor in Curieuse or Little Cove Court. Today you’ll discover Curieuse, part of the Marine National Park, well known for its red soil and indigenous fauna and flora, including over 100 tortoises. After lunch you’ll arrive at Saint Pierre, a beautiful clump of rugged rocks covered in swaying palms that offer wonderful snorkelling spots and is a regular photo op for travel magazines. Afterwards, you’ll anchor in Volvert Cove or Lazio Cove. 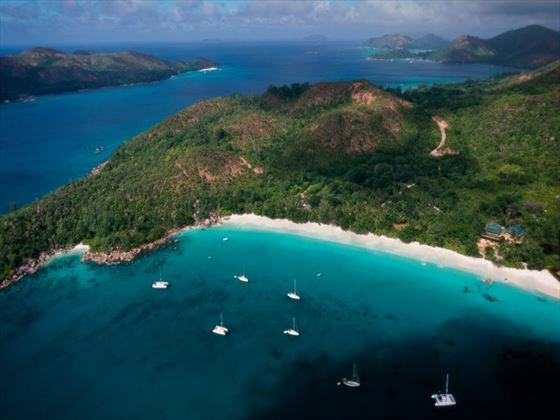 Your morning will be free for you to swim, snorkel or sunbathe on the picture perfect beaches of Praslin. 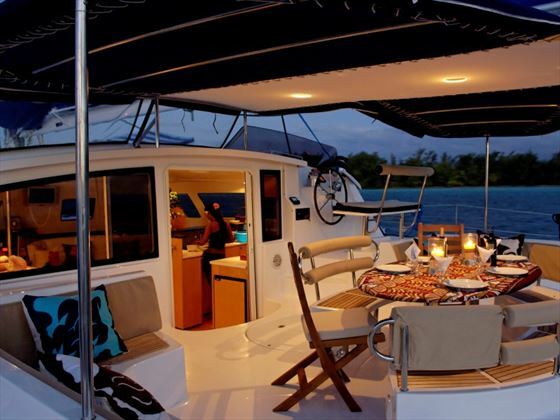 At lunchtime you’ll get back on board and sail to Mahe, where you’ll enjoy a sumptuous dinner and anchor in Anse Major. Swim, free dive and relax in this picturesque spot. Nestled in north-west Mahe, this pristine beach is very secluded and can only be accessed by boat or foot, offering unspoiled natural beauty. 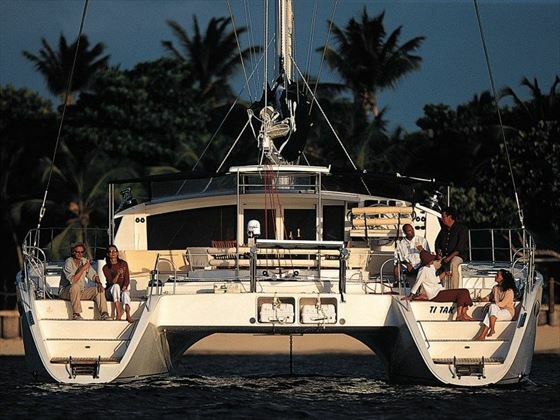 After lunch you’ll depart for Silhouette, where you’ll anchor for the night. 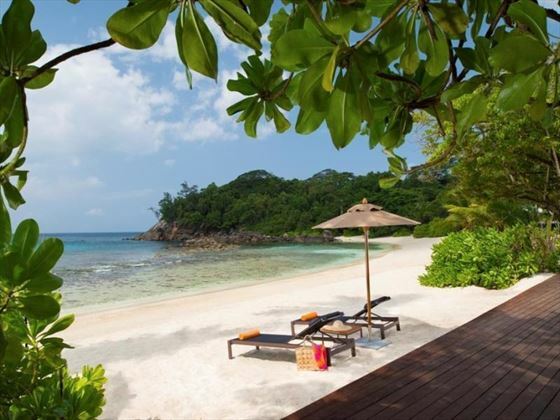 You’ll discover the Seychelles’ best kept secret today – Silhouette. With hills covered in exotic forest and coconut trees lining the pristine beach, this park is truly spectacular and perfect for hikers. In the morning you’ll be able to take some scenic walks throughout the park, before heading to Beauvallon in the early afternoon for dinner and anchorage. 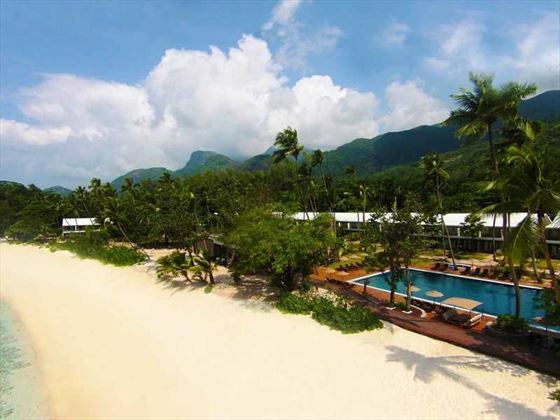 You’ll be wowed by Beauvallon, a huge, white sand beach that is truly unspoiled. Here you’ll be able to snorkel, kayak, swim and soak in the sun, before heading to Eden Island Marina after lunch. One of the most prestigious private residential marinas in the world, this spot is lively and vibrant, offering energetic bars, restaurants and shops. You’ll have dinner and anchor here. In the early morning, between 6am and 8am, you’ll travel to Eden Island, disembark, and travel back to AVANI Seychelles Barbarons Resort & Spa for a further two relaxing nights. 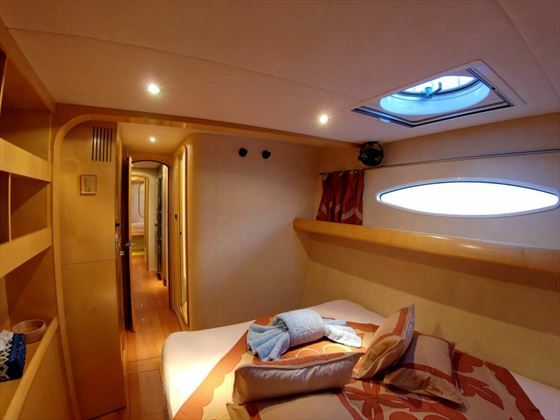 The Eleuthera 60 catamaran features four air-conditioned double cabins. Sleeps a maximum of 8 people. 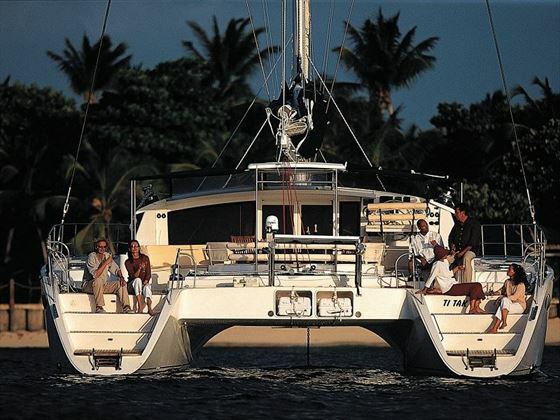 There is also a crew of two people – a captain and a cook, as well as two sea kayaks and snorkelling gear. 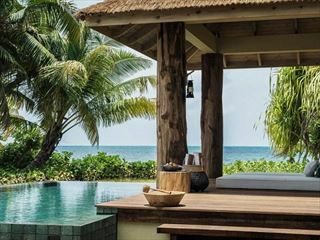 A colourful hideaway on the western shore of Mahe, AVANI Barbarons Seychelles Resort offers a perfect beach holiday for families and couples. The resort is a quiet, low-rise property with a great atmosphere and lovely views out onto the Indian Ocean. The vibrant, beach-style accommodation is located close to everything you need for a perfect holiday in the sun, including a gorgeous pool, stretches of white-sand beach, the hotel’s fantastic restaurants, and the relaxing spa. Tamarind - an innovative Asian-inspired restaurant - sits in between the pool and the beach, offering relaxing views as you tuck in to delicious Asian fusion cuisine, whilst our sales team loved Gravity’s upstairs shisha lounge, with bright orange bean bags overlooking the gorgeous sunset. Whether you fancy taking a hike around Mahe, snorkelling with schools of tropical fish or just lounging on the sugar white sands, there are activities here to suit everyone. While mum and dad rejuvenate with a spa treatment or sip on a fruity cocktail, the kids can enjoy face painting, beach activities and more at AVANIKIDS. There’s something for the whole family to enjoy here. 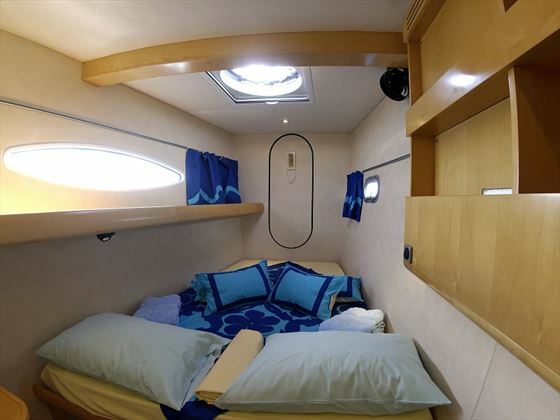 Offering total comfort whilst cruising along the azure Indian Ocean, Eleuthera 60 is a small yet cosy catamaran offering an intimate atmosphere. 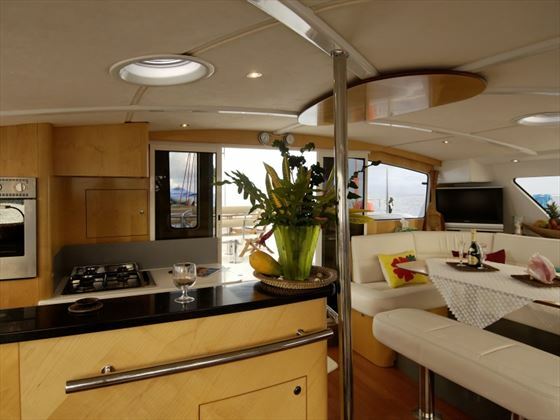 With only five double cabins altogether, this is a small catamaran offering a personalised experience, including a chef who will cook every meal fresh and to your taste. 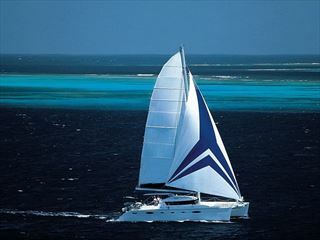 There will also be a captain on board dedicated to creating the best experience for you. 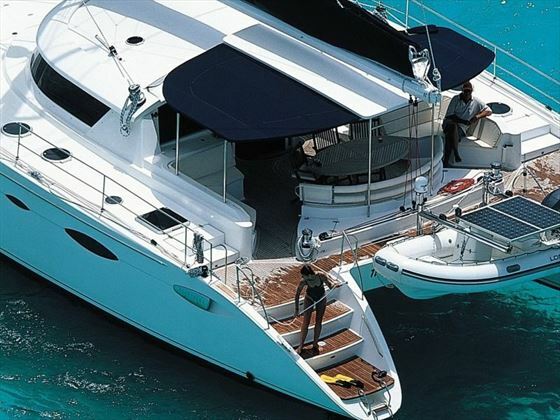 The Eleuthera 60 has plenty to keep you entertained in between exploring the Seychelles’ verdant, exotic islands. 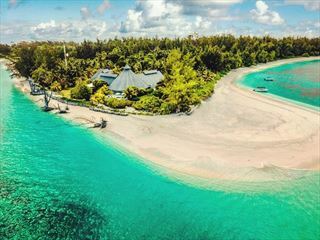 The water sports on offer include two sea kayaks, perfect for a lazy afternoon, and snorkelling equipment for those hoping to discover the Indian Ocean’s tropical marine life. 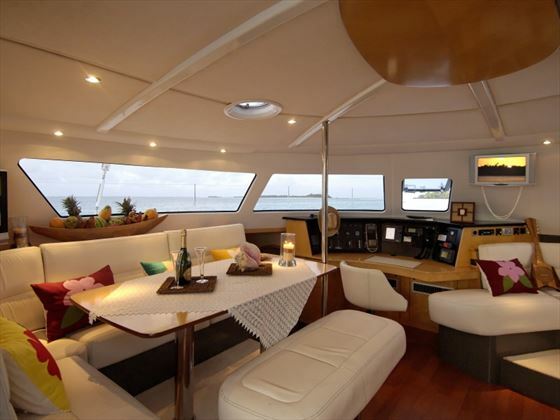 There’s also a large sundeck ideal for soaking up the sun and the tranquil ambience. After a day of water sports, island exploring and sunbathing, tuck into a dinner of freshly caught seafood and reside to your double cabin for a comfortable night’s sleep.